Artificial Intelligence plays a huge role in our lives everyday, at-least to those smartphone users. However, the use of AI is expected to grow exponentially with time. 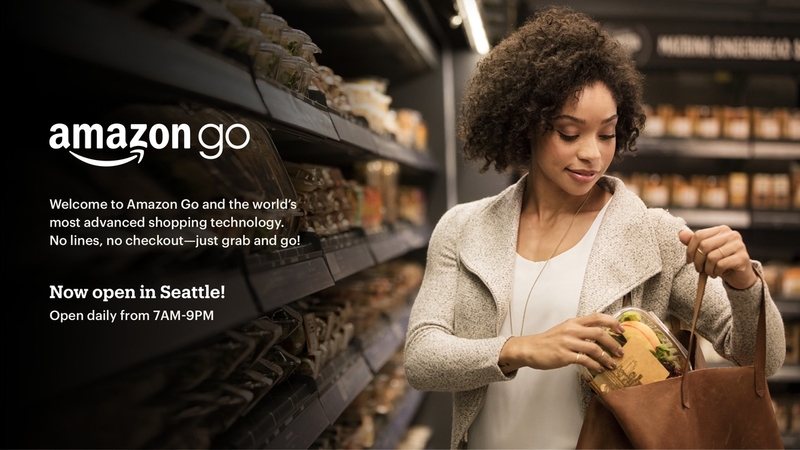 Amazon, the online shopping giant did something interesting with AI: it created a store called “Amazon Go” which is a check-out free store, meaning the customers don’t have to wait in a queue for billing. Shoppers just have to collect the items they need and they can exit like its their store. Microsoft, the cloud-giant appears to be working on something similar to Amazon’s store. The idea is not exactly similar; Amazon relies on cameras and sensors fitted in the store that keep tracks of the shopper’s activity. All that data is processed using computer vision algorithms to differentiate customers and to identify the objects they have picked up. After tagging customers with the objects they have picked up, the computers (behind the scenes) automatically add the products to the customer’s Amazon account. Upon the leaving of the customer, Amazon automatically charges from their account. Also one interesting thing to note here is that, if Amazon’s computers don’t do the magic and for example, you pick up an object and if the camera misses it, then Amazon says its not considered shoplifting but an error on their side and the customer gets to keep the product for free. Getting back to Microsoft, the approach for checkout-free is different, actually quite neat; the company is researching on fitting cameras on shopping carts that can automatically identify the objects added to the cart. The company recently hired an “Amazon Go” computer vision specialist and is speculated to use the technology behind “Project Kinect for Azure”. Microsoft’s entry into shopping isn’t exactly new, well it’s new for the checkout free stores but it already has partners which use the company’s cloud service to build similar (checkout-free) services.